MONDAY, Nov. 20, 2017 (HealthDay News) -- Motorcycle crashes are far costlier than car accidents, both in lives lost and in medical expenses, a new study shows. Canadian researchers found that the death rate from motorcycle crashes was five times greater than from car crashes, and the rate of severe injury was 10 times greater. That came with a six times greater cost to the health care system. Though the findings stem from an analysis of traffic accidents in the Canadian province of Ontario, the researchers said that similar patterns would likely be seen elsewhere. One reason: Motorcycles are inherently more risky because motorcycles lack the protections that cars provide. "It's clear that it's much more dangerous to ride a motorcycle than to ride in a car," said lead researcher Dr. Daniel Pincus. But the study isn't saying that motorcycles should be taken off the road. "A lot of people enjoy riding motorcycles, so we're not saying the answer is to ban them from doing it," said Pincus, who's with the Institute for Clinical Evaluative Sciences, in Toronto. Riding simply should be made safer, he said. Kara Macek, a spokesperson for the Governors Highway Safety Association (GHSA), agreed. Universal helmet laws are one way, she said. 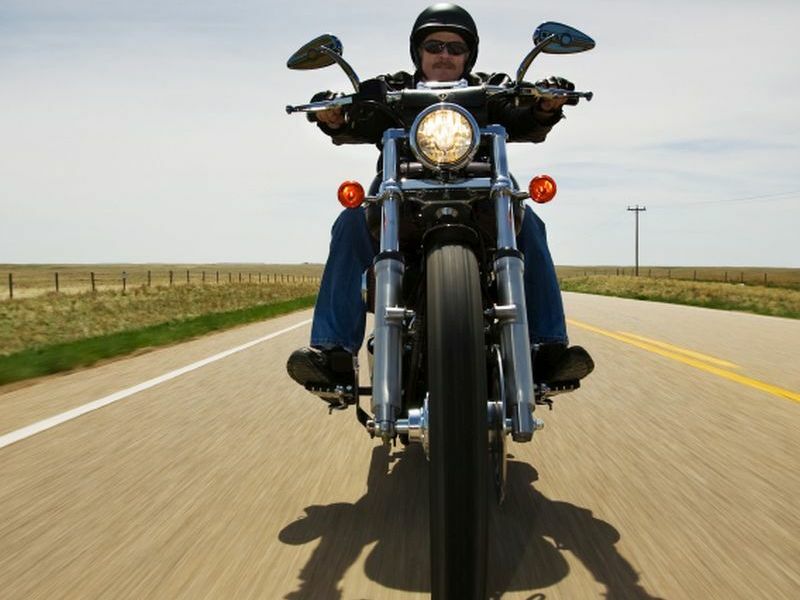 In the United States, only about half of states require helmets for all motorcyclists, according to the GHSA. "Just telling people to wear helmets is not enough," Macek said. "You really need the strength of the law behind it." Riders can take some straightforward steps to lower their risks: "Wear a helmet, obey speed limits and don't use alcohol," Macek said. "But," she added, "that's not to say the technology -- the vehicle itself -- can't be improved." Car safety has improved greatly over the years, Macek noted -- with seatbelts, airbags and greater structural integrity now giving passengers far more protection than decades ago. The nature of riding a motorcycle, or a bike, means that people are more vulnerable in a collision, she said, but certain safety measures -- like anti-lock brake systems -- are possible. Macek also agreed that the patterns found in this study would turn up elsewhere. In fact, according to the GHSA, U.S. data show that for every mile driven, motorcycles have a death rate that's 26 times higher than that of passenger vehicles. The findings, published Nov. 20 in the journal CMAJ, were based on data from more than 300,000 Ontario adults who were hospitalized after a car or motorcycle accident from 2007 to 2013. Overall, the researchers found, the death rate was nearly five times higher among motorcyclists: Each year, there were 14 deaths for every 100,000 registered motorcycles in the province, versus three deaths for every 100,000 registered cars. Similarly, people in motorcycle accidents sustained 10 times as many severe injuries -- with a yearly rate of 125 per 100,000 motorcycles, versus 12 for every 100,000 cars. As for related medical costs, motorcycle accidents resulted, on average, in almost double the cost that resulted from car accidents. Factoring in the rates of injury, the researchers estimated that each motorcycle registered in Ontario costs the health care system six times more than each registered car. The human toll is the primary concern, according to Pincus. "Some of us who worked on this study have experience treating motorcycle accident patients, and we've seen some bad injuries," he said. However, highlighting the health care costs, he noted, might offer some added motivation to improve motorcycle safety.